Improbable, the first of trainer Bob Baffert's potential trio of Derby starters to arrive in Barn 33, is 11th on the leaderboard after earning 40 points in Saturday's 1 1/8-mile test. He races for WinStar Farm, China Horse Club and Starlight Racing. He earned 65 points on the Derby trail. Country House, a stablemate of leading points earner Tacitus in Mott's Barn 19, has 50 points and sits at 17th on the points list. He is owned by Mrs. J.V. Shields, E.J.M. McFadden Jr. and LNJ Foxwoods. The top 19 on the points list earn a spot in the starting gate for the Run for the Roses and an additional spot is carved out for Master Fencer (JPN) from the Japan Road to the Kentucky Derby. Willis Horton Racing's homebred Long Range Toddy also made his reappearance at Churchill Downs Monday morning for Hall of Fame trainer Steve Asmussen. The winner of the Rebel Stakes (GII) will be stabled in Barn 38. 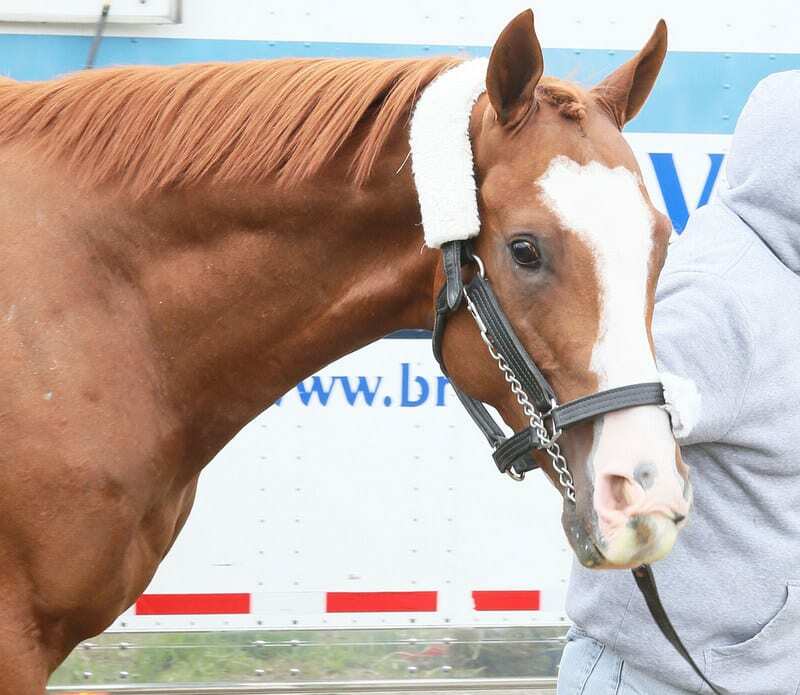 Fox Hill Farm's Omaha Beach, the Arkansas Derby winner trained by Richard Mandella, is vanning to Louisville, and is expected to arrive on Tuesday afternoon at Barn 28 between 1:30 p.m. and 2:30 p.m., according to Steve Hargrave, Senior Director, Stable Area. This entry was posted in NL List, Triple Crown and tagged churchill downs, country house, improbable, kentucky derby, Kentucky Derby 145, long range toddy by Press Release. Bookmark the permalink.